We’d love your help. Let us know what’s wrong with this preview of Solve by Talbot Davis. Many people are good at pointing out problems. What if God's people were among the few who are good at finding solutions? How would our world and our lives be different? This five-week study focuses on the person of Nehemiah in the Bible, who faced the difficult work of rebuilding the wall of Jerusalem after his people returned from exile. Confronted with this complicated Many people are good at pointing out problems. What if God's people were among the few who are good at finding solutions? How would our world and our lives be different? This five-week study focuses on the person of Nehemiah in the Bible, who faced the difficult work of rebuilding the wall of Jerusalem after his people returned from exile. Confronted with this complicated task and the many dilemmas that came with it, Nehemiah chose not to dwell on his problems or to pursue his own answers. Instead, he sought God's solutions, following God's lead and trusting God's purposes. God's people today are called to do the same. In each chapter, Talbot Davis shows how Nehemiah's experiences mirror the problems we face, as individuals and as a society. 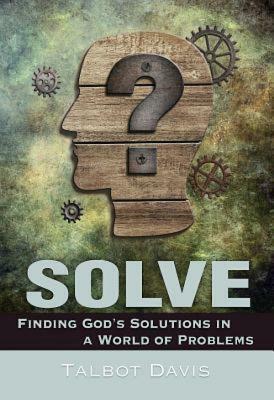 As you read this book, you will hear God's call to be someone who finds solutions. You will see how you can follow in Nehemiah's footsteps, building up your life and the world around you. You will be challenged not to focus on problems, but to seek God's solutions and how you can help bring them about. To ask other readers questions about Solve, please sign up. I won this book from a Goodreads Giveaway. I thought this was pretty well written. And I especially like the reflection questions. This was a good book to read with the family. I read this book to preview it as a possible small group study. Although I did think it made some good points overall I thought it was somewhat flat.